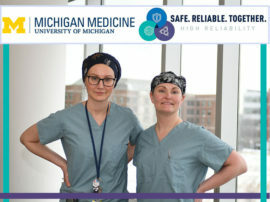 Over the past few weeks, team members have taken the time to recognize the MVPs and superstars who make their unit or department a success at Michigan Medicine. 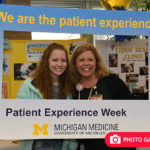 Whether it’s helping schedule infusion appointments at the new Brighton Center for Specialty Care, assisting patients and colleagues in PFANS or treating intramural student-athletes, employees shine bright every day and raise the level of care, education and research provided at Michigan Medicine. 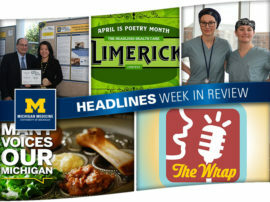 Congratulations to the following nominees, who were randomly selected by Headlines to win fantastic prizes, such as movie passes or Michigan Medicine swag! All other superstar nominees are listed at the bottom of the story. On top of excelling at her job, Emily’s bubbly personality brightens the day of all the patients she comes into contact with, and staff members routinely comment about what a joy she is to be around. Emily is hardworking, goes out of her way to assist colleagues and does everything she can to make things go smoother for a patient. She is a real superstar! Toni is a strong advocate for patients and families as evidenced by her engagement with safety and quality improvement efforts. Even in the face of adversity, she is always willing to do the right thing and speak up for patients. She has a proactive approach to her leadership style and I really appreciate her and enjoy working with her. 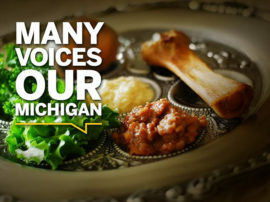 Thank you for setting a wonderful example for all of us at Michigan Medicine! I would like to recognize Cliff Cho, M.D., because he is an amazingly kind, humble and compassionate surgeon, colleague and mentor. Cliff is second to none and is the most deserving person for this sort of honor. 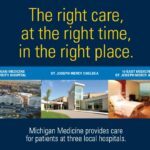 Thank you for making Michigan Medicine a great place to work! Molly helped to train me when I came on board at PFANS. From the start, it was obvious that she gives excellent service to our patients and coworkers. She is a model example of what every PFANS employee should aim to be. Thank you, Molly, for sharing your expertise with me and continuing to do an amazing job. Amanda is a superstar! She contributes to the success of the team and isn’t concerned about who gets the credit for a task getting accomplished. Amanda is also an empathetic listener and can be a persuasive speaker when needed. Finally, she provides exceptional customer service to patients and families. 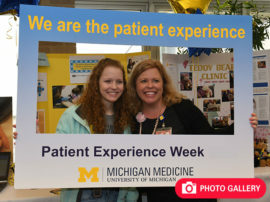 With her core values of respect, compassion, collaboration, innovation and commitment to excellence, Amanda exemplifies what working at Michigan Medicine is all about! Marilyn regularly goes above and beyond in her efforts to further MICHR’s clinical research mission. She patiently works through complex technical issues to resolve access problems for researchers and their sponsored affiliates. 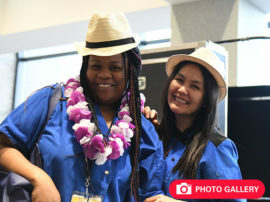 Her devotion to give each one the attention they deserve in a professional manner is a hallmark of the MICHR Technical Support team. It takes both talent and effort to be a responsive, knowledgeable and effective problem-solver— and Marilyn does so like a superstar every day! Dominique is friendly and helpful to everyone, but has played a particularly big role in the MiPAIN clinic that is run in coordination with pediatric psychology and PM&R. She has demonstrated initiative, creativity, conscientiousness and dedication to running and coordinating the program, from establishing screening and triage processes to serving as a liaison between MiPAIN team members, pediatric psychology staff and PRC support staff. All the while, she maintains a positive, upbeat attitude that infuses the rest of the staff as well as patients and families with optimism. Thank you, Dominique! Since Matt has been in this role, he has been an amazing asset in our team’s work to improve regulatory readiness in preparation for accreditation surveys. Matt is always responsive and strives to collaborate with all team members. It is apparent that his interest and priority is patient care and ensuring we are following policy and regulations to maintain our accreditation. His talents and effort are appreciated each and every day! Marie is an amazing asset to the glaucoma team as her boundless happiness and ability to keep a smile on her face serve as a breath of fresh air on stressful days. She can always be counted on to jump in whenever and wherever it’s needed. I want her to know that her efforts and hard work are not only seen, but they’re deeply appreciated by her coworkers. She reminds us to be our best self every day no matter what challenges the day may bring. Thank you for bringing so much joy to glaucoma! Bri is an exceptionally creative, skillful and versatile athletic trainer. She is able to excel and make a difference in any environment she’s in, whether that be in the clinic with patients, on the field with high school athletes as part of MedSport’s Outreach Program, or serving the needs of U-M’s club and intramural sports programs. She goes the extra mile with everything she does. Bri also tends to be ahead of the curve with implementing new techniques, and is always willing to extend her vast set of knowledge and skills to others. She’s certainly an asset to the organization. 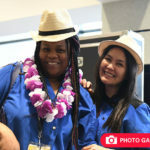 The entire Complex Care Management Program team is full of superstars. 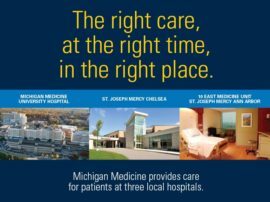 The group works tirelessly to advocate and ensure that the patients we serve receive equitable and quality care at Michigan Medicine. Often, our team members work with the most vulnerable populations and face numerous challenges, but they always strive to help our patients achieve positive health outcomes and keep each other motivated. It is an honor to work with each of these incredible team members!